John S. Winiarski, Jr., 92, of Kensington, passed away on Saturday, March 3, 2018. He was the husband of the late Dolores (Staszewski) Winiarski. Born in Meriden, January 14, 1926, a son of the late John S. and Estelle (Klemba) Winiarski, John was a veteran of World War II - U.S. Army Air Corps. He was employed as a gauge set-up man for New Departure Division of General Motors for more than 45 years. 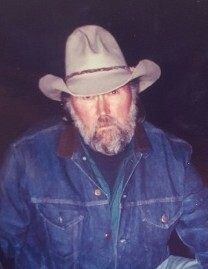 He was an avid gardener and sportsman and a member of New Departure Fish and Game Club and the Rocky Mountain Elk Foundation. He also enjoyed many hours as a pilot. John is survived by a son: John S. Winiarski, III of Meriden, a daughter: Joan Winiarski of Kensington, 2 grandchildren: Joseph Winiarski and Christine and her husband Ryan Laferriere, 3 great-grandchildren: Leo, Jackson, and Lily Laferriere and several nieces and nephews. Besides his wife, he was pre-deceased by a brother Kenneth Winiarski. A Mass of Christian Burial will be held on Saturday, March 10, 2018 at 10:0 a.m. at St. Stanislaus Church in Meriden. Burial will follow at St. Stanislaus Cemetery.